Back to school and back to packing lunches. Roast beef from the deli often has a heavy marinated taste, so I was motivated to create my own. 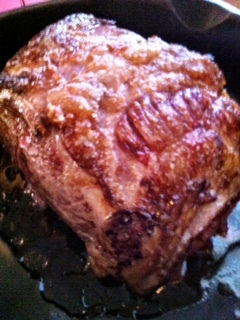 Look for the Eye of Round Roast which is a lean cut of beef. Searing then roasting slow and low is the trick – and just like the deli, slice it as thin a possible because it is a tough cut of beef, but has lots of flavor. A cast iron frying pan is a must – if you do not have one, they are inexpensive and the best tool for searing and roasting meat. 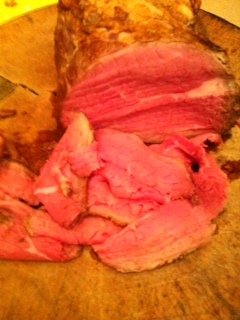 This entry was posted in Recipes and tagged Eye of Round Roast, Roast Beef, Sandwiches. Bookmark the permalink.